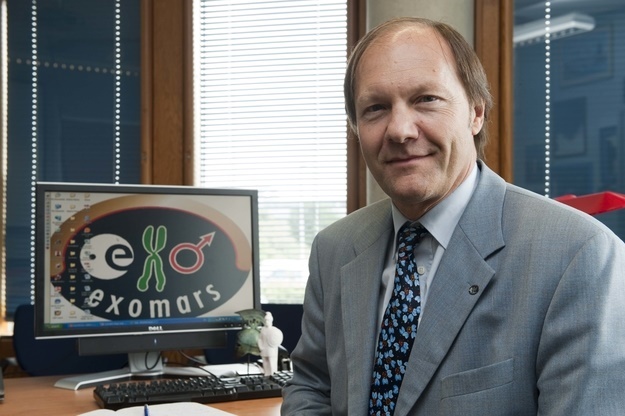 Don McCoy, Project Manager of the European Space Agency’s ExoMars 2016 mission, will present a full update about the spacecraft’s journey to the Red Planet and long-term mission at the 19th Annual International Mars Society Convention, to be held September 22-25, 2016 at the Catholic University of America in Washington, D.C. Scheduled to arrive at the planet Mars this October, this first part of the ExoMars program, consisting of an orbiter and lander, will search for gases in the Martian atmosphere that could indicate signatures of active biological or geological processes, while also testing key entry, descent and landing technologies to support future ESA missions to Mars. Mr. McCoy joined ESA’s staff as a systems engineer in 1986, working on coordination and promotion of technology developments, before being appointed as an Operations & Assembly, Integration & Verification (AIV) engineer for the Hubble Space Telescope. He later joined ESA’s Huygens team as Principal Payload engineer, and was eventually added to the Mars Express project team in 1997 to serve as Principal AIV engineer. In 2004, Mr. McCoy became Venus Express Project Manager, holding this position until the spacecraft entered the orbit of Venus in 2006. He was then appointed ExoMars Project Manager later that year. Born in Winnipeg, Canada, Mr. McCoy received graduate degrees in Chemistry (Univ. of Manitoba, 1976) and Civil Engineering (Univ. of Manitoba, 1979), as well as a post-graduate degree in Aerospace Engineering (Univ. of Toronto, 1981). For more information about the 2016 International Mars Society Convention, including registration details, please visit our web site.